The Cast: Kate Lyn Sheil, Thomas Matthews, Keith Poulson, William Jackson Harper, Ismenia Mendes, Tone Tank, Joshua Leonard, Isiah Whitlock Jr. The Story: A New York social worker finds herself embroiled in the kidnapping of a Washington DC socialite. Thanks to this film, I believe we can now say there is a movie genre called Hipster Comedy Crime Thriller and I for one am happy it exists. Michael Kerry Matthews and Thomas Matthews have embedded their film with a razor sharp comedic line bordering on absurdity and a millennial filled wit that shouldn't be nearly as funny as it is. The characters are outlandish but in a way that is spot on relevant to today's world. What's most interesting to me about this film is how it tells its story in two completely different ways. There's this super comedic crime thing happening that is the source of all the aforementioned absurdity but there is also an interesting relationship story that sort of drops in now and then to keep things emotionally grounded. I suppose this is also meant as a reflection of who the 20-30 something generation is or at least how they are perceived to be. 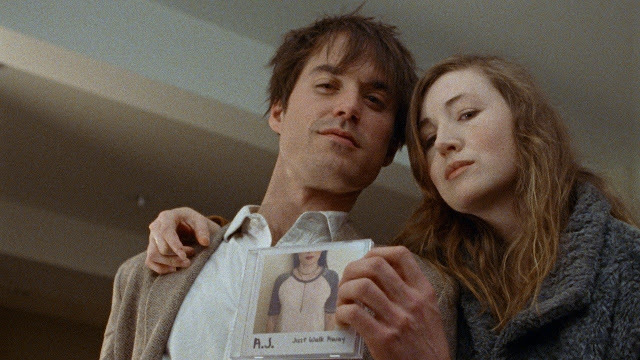 This juxtaposition is embodied by Margaret, the movie's primary character played by Kate Lyn Sheil, and how she has moments of insanely immature spontaneity and then all of a sudden a phone call with her ex nearly has you in tears because of how deeply emotional and introspective they get during the conversation. One of the best lines I've heard in a while comes out of this conversation: "I keep waiting for an adult to show up and take over but it's just...Me." 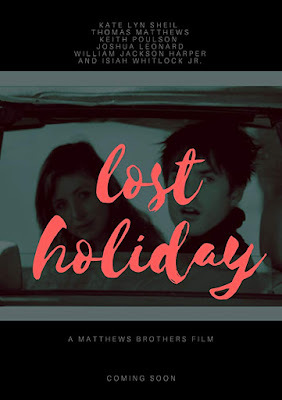 Lost Holiday is a fun, fast paced trip through existential nothingness and has a great time poking fun at just about everything we blame millennials for being. The movie is an impressive debut feature for the Matthews brothers, is tailor made for film festival audiences, and should find plenty of success as it makes the rounds. Lost Holiday is an official selection of the 2019 Slamdance Film Festival. TwoOhSix.com coverage of the 2019 Slamdance Film Festival.